When Yoni, my husband, proposed marriage to me, it was one of the happiest days of my life, and of his life. We celebrated with family and friends, and only after several days did we begin to think about the wedding itself. 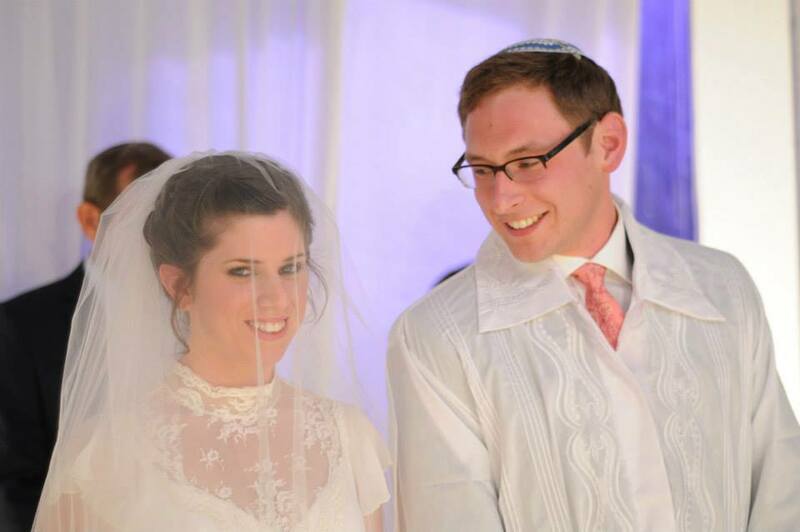 It took us a while to find a hall; I had to search numerous sites and designers to find the dress of my dreams; but there was one thing we didn't go back and forth over: we knew that we did not want to marry via Israel's Chief Rabbinate. Yoni and I grew up in religious homes; we both belong to the Orthodox movement. Ostensibly, we had no reason not to marry via Israel's Chief Rabbinate, yet we choose to give up this particular pleasure. We did not want to have any connection with an organization that excludes a segment of the population due to its sexual orientation. We didn't want to give them the opportunity to say that we're somehow better as a "normal" couple, which functions correctly according to their worldview. Another issue we encountered related to the Rabbinate is that not everyone is good enough for them. It turns out that Yoni's father, an Orthodox rabbi in every regard, could not marry us in Israel via the Rabbinate because he is an American rabbi, and this would somehow disturb the process. In order for a rabbi from abroad, not a Rabbinate rabbi, to be able to marry a couple in Israel, he must receive an additional ordination from Israel's Chief Rabbinate - and from them alone. It turns out that Orthodox rabbis aren't good enough for them. The Rabbinate's solution is to have a Rabbinate affiliated rabbi supervise the whole marriage process to make sure that, God forbid, no undesirable customs are imported from abroad. We did not concede this point. Not that we couldn't have technically jumped through these hoops, but enough is enough. In Tractate Sanhedrin 38a, it is written: "A man differs from his friend in three ways - his voice, his appearance, and his opinion." We each differ from one another. Together, we comprise a beautiful and diverse world. Our challenge is to accept the opinions of others, to learn from them, and not ignore them or squash them with our heels. I long for the day when Israel's Chief Rabbinate will become accepting and more permissive. I hope our children won't have to get married abroad, and that the country they grow up in and fight for will recognize them as married.